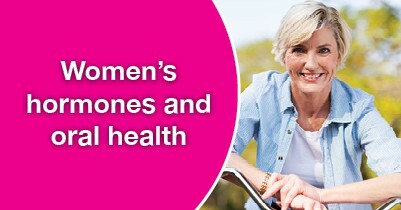 Women undergo several hormonal changes throughout their lives, causing hormone levels to fluctuate. This fluctuation can not only cause changes in the body, but in the mouth as well. At my Long Grove dental office, we want to cater to our female patients, and this blog can explain how their hormonal changes affect their oral health. It’s also not uncommon during these years for women to choose to start a family. During pregnancy, hormonal levels change dramatically. An rise in progesterone can increase your chance for gum disease. Gum disease brought on by hormonal changes experienced in pregnancy is known as pregnancy gingivitis and is usually found between months two and eight of the pregnancy. Because of this, your Long Grove dentist may recommend more frequent visits for cleanings and exams. While it’s important for all of our patients to maintain regular checkups at my dental office in Long Grove, it’s even more important for our female patients. If you’re going through a crucial period in your life, or are looking for a new dentist, please give us a call today. We’ll make sure your mouth is in healthy shape and work with you through all stages of your life. Welcoming patients in Long Grove, Buffalo Grove, and Lake Zurich.